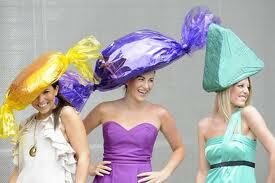 Today is Ladies Day at Royal Ascot horse racing. 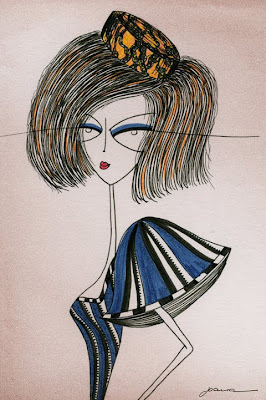 Which I am watching on BBC, I always like looking at the fashion on show. 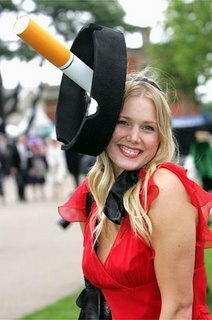 This year is the 300 years anversiary of Ascot, so I decided to search for photographs of the most beautiful and quirky hats of the event from the current and past. 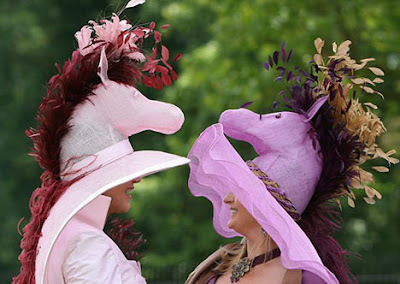 The most beautiful hats tend to be designed by either Stephen Jones or Phillip Treacy. 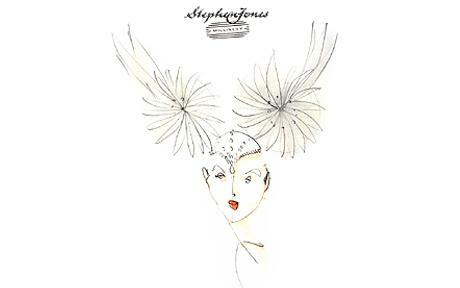 Jones current spring summer collection, 'Drifting and Dreaming' catwalk is shown on the tv programme. 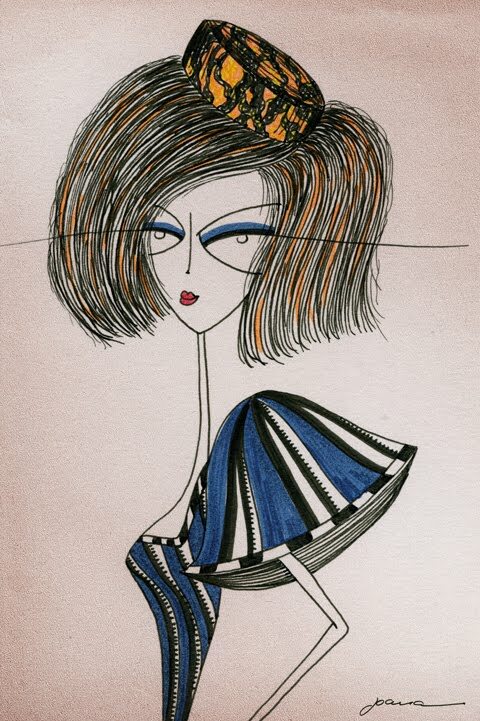 The catwalk was a collarboration with Jasper Conran, I think the year he worked with Vivienne Westwood was a much more exiciting show. 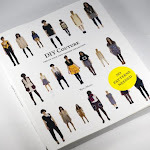 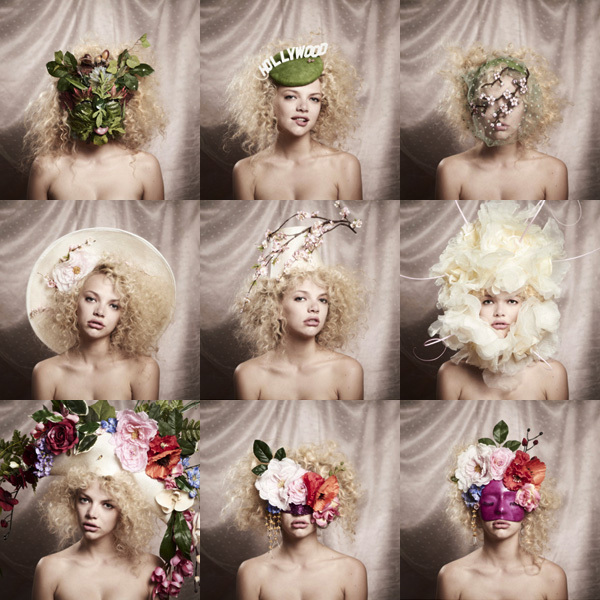 He also is working with the British fashion council to help new milliners into the business. 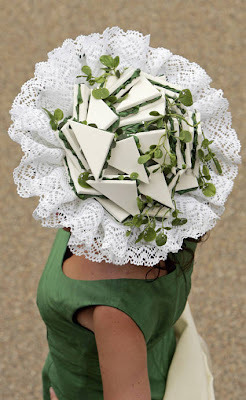 One new designer who caught my eye is Piers Atkinson, who produces contemporary designed hats, using oversized apples and cherries. The more quirky hats are normal designed by different brands to advertise a product. 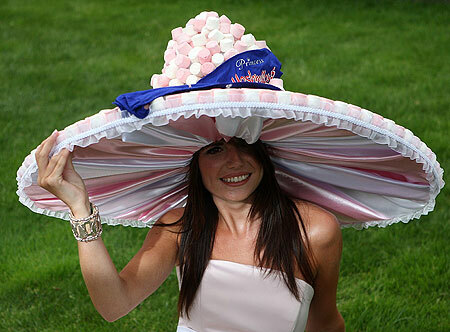 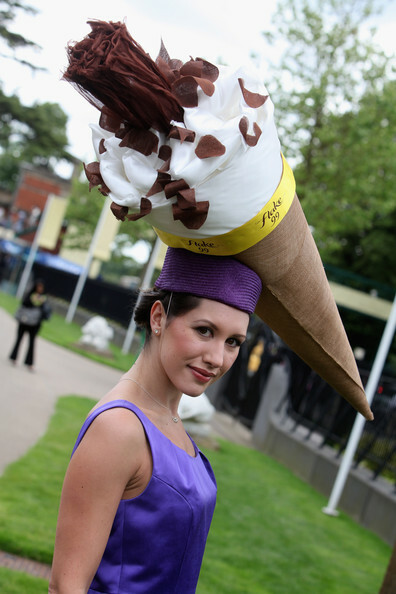 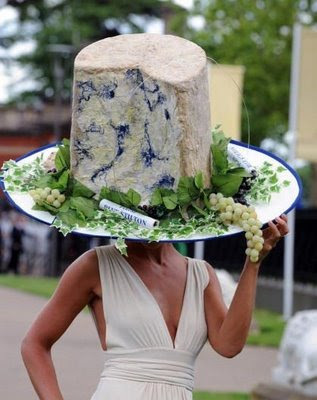 Such as Cadburys, I enjoy looking at the attention seeking hats more. 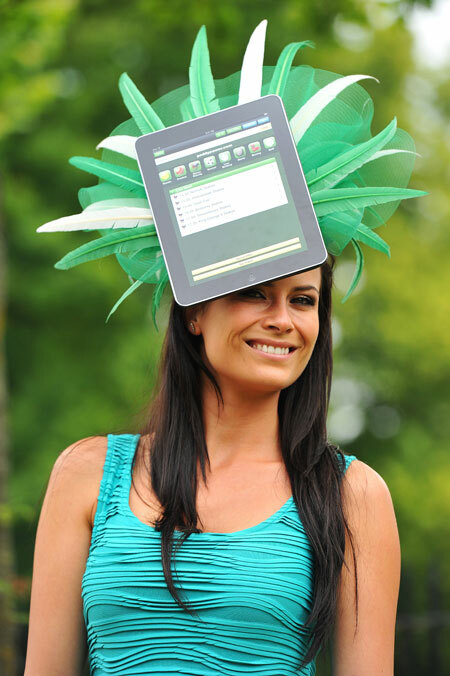 One with a ipad on the front, one with a platter of cucumber sandwiches, quisessentially english themed.